What does it mean to become one with the Tao? How can we join the Tao? Is this possible, or is just a psychological illusion? To me there is a relationship between attaining oneness with Tao and letting go. Both involve a setting aside of reliance on ego and an acceptance that life, the universe, and everything is greater than our own small self. To really let go, to allow things to happen as they will, means to accept that our own plans, our own attempts to stay in control of events, is doomed to fail, and will in the end prove an unhealthy way of living. Instead of trying so hard to make things work out as we would like them to, we are better off – healthier and happier – to just rely on things turning out as they will. This requires trust, something which is in short supply in our day. To trust is to assume that ‘all will be well’ that there is an existing pattern in the universe that sorts things, events, and people in a way that is not inevitable or determined, but that will be somehow OK. To try to work against this flow of events puts us in opposition to this pattern, and since this pattern is also in us, it means that we are acting in opposition to ourself. This can’t be good. Acting against ourselves is how we create imbalances in the flow of energy, of chi, and how blockages and stagnation occur in the body, leading to illness. If we want to stay healthy, then we need to make sure that our individual pattern is aligned with the universal pattern. The energy that flows in and through us should not be blocked, but should just continue the flow that is in the universe at large. This is, in its own way, attaining the Tao. Our individual pattern, our energy flow, is the power or essence of who we are. It is our signature. And this derives from the Tao, the universal pattern or energy flow. One way of looking at this chapter is to see that it is about meditation. In deep meditation it is possible to attain emptiness and stillness. But this is only relative emptiness and relative stillness. Our heart is still beating, our digestive system still moving, our lungs still expanding; we still have awareness. Our body as an object in space is still, but our body as an energy system continues to function. However it is functioning at a slower and deeper level than when we are active. This means that our systems are able to slow down – our breathing, heart beat and digestion all slows – and this has a corresponding effect on our muscles, nerves and brain. No physical action is required, our involuntary systems provide all we need to stay alive, and so our nervous system (and mind) are able to take a well-needed rest. One of ‘the ten thousand things’ in the world is our body, and in meditation it is very easy to view it ‘stirring about’. This stirring is not extreme, it is rather gentle and subdued, and so it is easy (in our relative state of emptiness, when so little outward activity is happening) , to watch for the body’s ‘going back’. Everything rises and falls, our chi rises and falls, our breath rises and falls. As we watch internally (the words used to describe this is something like ‘to turn your gaze around’) and become aware of how our energy circulates, rises and falls, then the places where we have obstuctions or blockages start to ‘light up’, show us where we have a problem. It is this self-discovery in meditation of our subtle and not-so-subtle blockages, obstructions and pains that gives us the chance to self-heal, to start the journey to health that can break up these blockages, eliminate this pain, and increase the free flowing of our energy. I believe that this road or path to health is one of the ‘ways’ to the Tao. 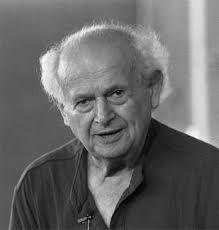 I’ve been reading The Potent Self by Moshe Feldenkrais. Feldenkrais was interested in the relationship between how people used their bodies (how they functioned) and the way that their experiences had formed their bodies- the individual complex of nerves, muscles and bones that was the vehicle for bodily expression. That is, we all create a body for ourselves out of personal experience – life’s events – and we then we have to use that specific body in our daily activities. Feldenkrais, like the Tao Te Ching, would say that when we are infants (before too much experience has altered us) we are a perfect mix of form and function. Our bodies are adapted well to what we need to do with them: feed, digest, get rid of waste, move to explore and so on. But as we grow up, and our parents and society warp us with rules and conventions, our form gets altered so that function can often become dysfunction. This is the area he explored, looking at how we as adults move in a semi-dysfunctional way and originated movement therapies to try to correct these imbalances. Looking back (and looking even now as well) at my own body, I can see so many parts of my body (and so many body systems) that diverged from that perfection of infancy. In fact, I have spent the last 20 odd years discovering these dysfunctions and trying to correct them, through yoga, tai chi, meditation, self-massage, breathing, and so on. I’m pleased that at 67 I suffer no obvious ailments, take no medication, have no pains, and that my body functions pretty well for someone of my age. This must be due to the practices that I have taken on during these past 20 years. Still, I inherited a strong body from my parents, so genes must also have a role to play in the well-being of an aging body. Recently, I have been trying to get rid of cramps that I have been able to induce in my upper calves. Years ago these cramps would erupt spontaneously, when I would bend my legs at a certain angle while lying in bed. The pain, which is intense, would force me to straighten my legs to get rid of the spasm. However I decided at a certain point to try to live through the spasms, and to try not to straighten my leg. This was not often possible, because the pain was too intense and I would have to go for relief. But sometimes I could tough it out and remain breathing into the pain. Why did I do this? What did I think I would achieve? The theory (maybe this is my theory) is that the cramp is caused by muscles which are in a state of tension, so that they can easily go into spasm. However the question that precedes this assumption is, why are the muscles in tension in the first place? The cause of this muscle tension, I think, is trapped chi, chi that has stopped flowing, and that has stagnated at a particular point in the body, in this case the upper calves, where several layers of muscle slide over each other. Of course the question can then be asked, why has the chi hardened or obstructed here? The answer for me is that it has an emotional origin. Tensions elsewhere in the body, probably originating due to stress from the belly or solar plexus have a kind of ripple effect down the body, so that the chi which should be flowing from these middle areas have become stuck, and caused a corresponding blockage down in the legs. So you can see that to deal with cramps in the leg, I am really also dealing with some kind of blockage or stagnation in the solar plexus/belly, caused by tension which originates from an emotional response. This emotional response is very hard to characterise, since it can be seen as nervousness, fear, anxiety, and all of these can have many reasons for existence, depending on when these experiences happened and how I dealt with them at the time. When you have lived for 60 odd years, your body is a vast repository of emotional experiences from all your previous ages, so its not easy to pick apart what action or feeling caused which blockage. However, if you do a certain amount of self-therapy along with this kind of bodywork, you often get insights into what has caused what. At times the release of a particular tension gives rise to an image or a memory that gives clues as to why that particular tension was formed. So the practise of bodywork: self-massage, yoga, tai chi, allied to meditation and self analysis can often give us insights that are valuable in curing both body and mind.